RMP were commissioned to provide a full acoustic design service of the new teaching and research building. 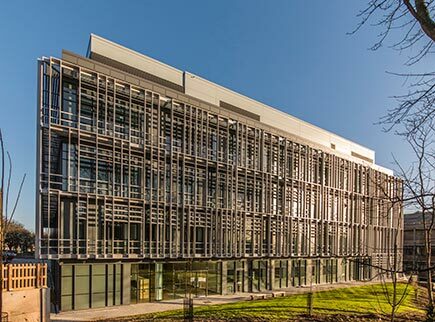 The building incorporates offices, laboratory accommodation, teaching spaces and a large multifunction central atrium for which RMP undertook complex 3D acoustic modelling. The building is currently achieving a BREEAM Rating of ‘Outstanding’ which is the highest rating a building can achieve on this sustainability scale.